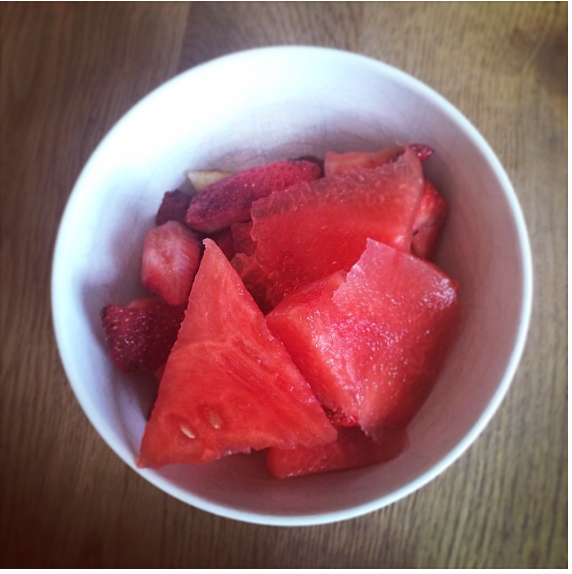 http://instagram.com/p/o3u4yABhk5/ No, there isn't rind in the photo because, I just learned this: you can and should eat watermelon rind and seeds. Along with chlorophyll, the rind actually contains more of the amino acid citrulline than the pink meat. Citrulline is converted to arginine in your kidneys, and is an amino acid important for heart health, maintaining your immune system, and more. Meanwhile, the seeds are edible and contain iron, zinc, protein, and fiber. Blend it with some lime. + Cucumber if you really want to alkalize.